Professor Janice Kiecolt-Glaser, the Director of the Ohio State Institute for Behavioral Medicine Research, holds the S. Robert Davis Chair of Medicine in The Ohio State University College of Medicine; she also holds the title of Distinguished University Professor. Working in the area of psychoneuroimmunology, she has authored more than 250 articles, chapters, and books. 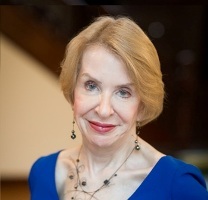 Her studies have demonstrated important health consequences of stress, including slower wound healing and impaired vaccine responses; she has also shown that chronic stress substantially accelerates age-related changes in inflammation which is linked to some cancers, cardiovascular disease, type II diabetes, osteoporosis, arthritis, and frailty and function decline. In addition, her programmatic work has focused on how personal relationships influence immune and endocrine function, and health. Her more recent work has demonstrated that stress and depression can alter metabolic and inflammatory responses to high-fat meals in ways that promote weight gain. Most notable among her honors is her membership in the National Academy of Medicine (formerly the Institute of Medicine). In addition, she received the American Psychological Association’s Distinguished Contributions to Scientific Psychology award, the Lifetime Achievement Award from the Academy of Behavioral Medicine Research, and the American Psychosomatic Society’s 75th Anniversary Award for research on emotions and social processes. She is a Fellow of the American Association for the Advancement of Science, as well as the American Psychological Association; she has received the Award for Outstanding Contributions to Health Psychology from the American Psychological Association's Division of Health Psychology twice, as well as the Developmental Health Psychology Award from the Divisions of Health Psychology and Adult Development and Aging. She is a past President of the Division of Health Psychology. The Psychoneuroimmunology Research Society gave her the Norman Cousins Award as well as the George Solomon Award, and the American Psychosomatic Society gave her the Patricia A. Barchas award for outstanding contributions to the study of the impact of social behavior on physiology. She was a member of the NCCIH Advisory Council and she has served on the editorial boards of 10 professional journals including Psychoneuroendocrinology, Brain, Behavior, and Immunity, Psychosomatic Medicine, and Health Psychology. Her research has been supported by a series of grants from the National Institutes of Health, including a MERIT award and two Research Career Development Awards, and she is currently a PI on two NCI R01 grants, as well as an NIA R01. In 2008, she received The Ohio State University's highest honor for scholars, appointment as a Distinguished University Professor, a title awarded to only ~75 faculty members since 1985. Her current Google Scholar h‐index of 107 reflects the impact of her work. She has published two mystery novels, Detecting Lies and Unconscious Truths. One segment of her current research focuses on the ways in which stress and depression alter metabolic responses to meals. An initial study showed that women who had experienced more recent stressors burned fewer calories after a fast-food type meal, and also had both lower fat oxidation and higher insulin compared to women with fewer stressors. Burning fewer calories leads to weight gain. Furthermore, people with lower fat oxidation are more likely to gain weight by storing fat than those with higher fat oxidation, and thus their risk for obesity is increased. Higher levels of insulin foster fat storage. These adverse changes would all promote obesity. Additionally, this study also showed that depression substantially augments triglyceride responses to high saturated fat meals in ways that promote heart disease. Depression has well-established effects on heart disease morbidity and mortality, and these meal-related changes highlighted a previously unrecognized depression-sensitive pathway. During stressful times many people turn to calorie-dense high-fat “comfort” food. While the influence of stress and depression on food choice is well-established, these novel data suggest that stress and depression also affect metabolic responses to these meals. A longitudinal study in her lab is now addressing how these metabolic responses impact coronary artery calcification and weight change in breast cancer survivors. Another segment of her current research focuses on how physical fitness affects inflammation, a robust and reliable predictor of all-cause mortality in older adults. Chronic inflammation signals a heightened risk for disability and mortality even in the absence of clinical disease. Although inflammation rises with age, active individuals have lower levels of inflammation than those who are more sedentary. Indeed, when fitness is assessed objectively by maximal exercise testing, poorer physical fitness is clearly associated with higher inflammation. An immune challenge provides a useful paradigm for studying an individual's ability to limit the daily inflammatory responses that occur in response to infection or tissue injury. For this reason, another of her studies uses a typhoid vaccine as a peripheral immune stimulus to assess the magnitude and kinetics of a transient inflammatory response and associated behavioral changes that are associated with heightened inflammation --depressive symptoms, fatigue, cognitive problems, and increased pain sensitivity. She and her colleagues address a novel question: does poorer physical fitness heighten the magnitude and duration of inflammatory responses to immune challenges, as well as magnifying maladaptive behavioral responses? This study will improve our understanding of how physical fitness influences inflammation, as well as adverse inflammation-associated behavioral changes including negative mood, fatigue, increased pain sensitivity, and cognitive deficits. This project will provide insight into the pathways through which regular exercise produces its substantial health benefits. A newer study in married couples ages 40 and older addresses how the gut microbiome and molecular markers of aging are related to the couple’s relationship and health. A recent publication from her lab showed that marital distress was associated with a “leaky gut,” an important source of inflammation.